I love this book, it’s filled with imagery(meaning there is so much detail I can picture the story in my head). No words describes this book other than glorious and magnificent! Once you’ve started this book you just can’t stop! It is a good book not one of the best and I would only recommend it if you like books about people life itbis a good book for a bit older seen as it is s bie emotional at times.if you are about 8+ I woyld say read it and try it out. I think it is one of them books you like or you don’t. This book is very funny, entertaining and in some way emotional. I personally think that this is not one of Jacqueline Wilson best books and I think this book is quite overrated but it is still worth a read for anyone age 9+. this book is realy good! its about tracy beakers life. tracy has a good sense of humour so you will find it funny, i give this a 10 out of ten! you should read this! happy reading! This book is really funny its my favorite book. I think Tracy Beaker is one of JW’s most beloved characters, she’s got it all; a wild imagination, a knack for trouble and a few good mates, who cares if she lives in a Home with a capital H, it just makes it all the better. Got it from the library, AND LOVED IT!!! Another of Jacqueline Wilson’s specialties. I love this book and so will you. I love this book so much I have 2. Copies at home and one on my I pad!!! I love it because she has such an wild imagination and the book is realy funny. She is quite daring aswel.I see people with it everywere. i love it! No dout! This book is about a girl named Tracy who is in a care home which she calls the dumping ground. It is about her life in the dumping ground and she meets a girl named cam and tracy wants cam to take care of her. I thought it was really interesting and funny at some parts. tracy beaker is the best! she is my fave character but the TV show series 3 and 4 are even better! 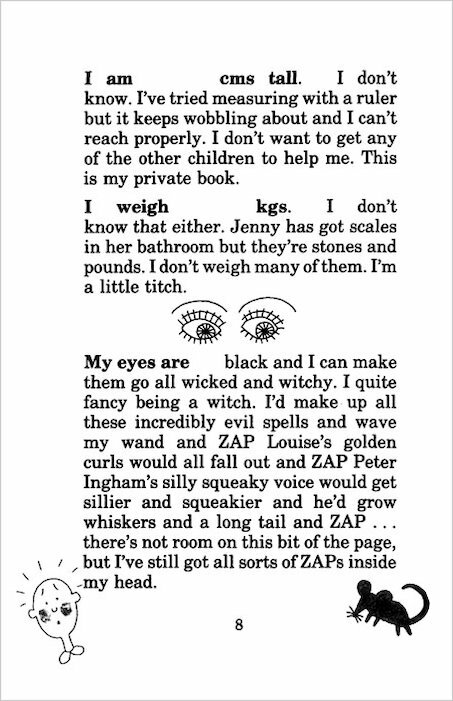 When I first read this book, i hadn’t heard of Jacqueline Wilson, and I thought her books looked a bit too thick for me. When I read this, I got a little addicted and have been reading her books ever since! I love the bit in the beginning where Tracy does a little fact file. Great Book. Brilliant, Tracy is really funny. No offense to anyone liked this. But this was just terrible! Hated it,bored me to death and just ugh. Don’t have anything more to say because i just like tore the book up! its the only book i realy did not want to read but realy liked it!!! a great read ! i would definitiely recommend it! I watch this programme all the time and the book is just like it. I think there are other Tracy books and I wan to read them too. Tracy Beaker rocks!!! So cool too cool for school. Go Girl were the best ever! I TOTALLY LOVE TRACY!!!!!!!!!!!!!!!!!!!!!!!!!!!!!!!!!!!!!!!!!!!!!!!!!!!!!!!!!!!!!!!!!! !SHE IS COMICAL ,FUNNY, CHEEKY ,RUDE and just herself jackie wilson is so clever her tequnikes are the best i hope tracy will live on forever. loved it. filled with comical brilliance that made me laugh so hard my stomach hurt! I LOVE THIS BOOK TO BITS!! 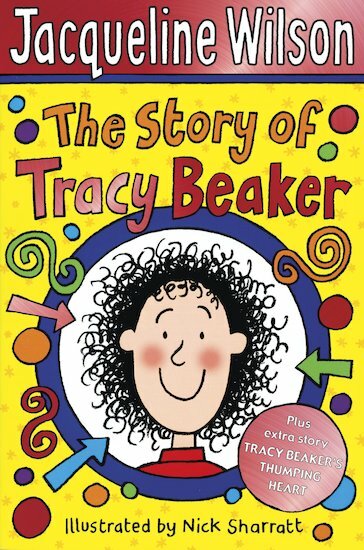 I love the story of Tracy Beaker! I am so like her in so many different ways! She’s cheeky, funny, rude and most of all absolutley crazy about her mother! I think this a really gentle, loving book and a fab new introduction to start on Tracy. Although she hated the Dumping Ground, Tracy retold me all the great stories and adventures they had. 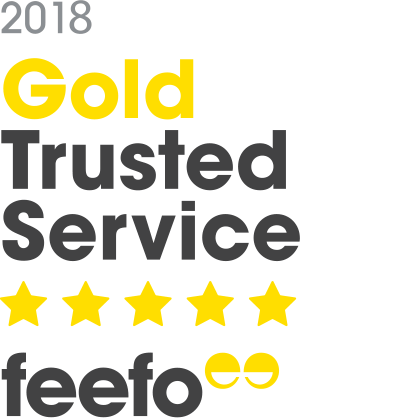 I rate it a 10/10 and I know who I will recommend it to: E V E R Y O N E ! ! ! ! The illustrations made the story what it is and inspired be to read more! THIS IS REALLY GOOD MOOK I READ IT LOADS OF TIMES! i love tracey beaker i bet its really hard to deal with not living with there mum and may live with strangers! This book is brilliant!!! I love Jacky Wilson’s books because they are all true and not just fantasy! I am a fan of Jacqueline Wilson’s books!!! This book is funny and ALL about Tracy’s life from when she was a baby to a 9-10 year old child.I give this book 5 STARS! This is a GREAT book and I love Tracy Beaker I have all the books and a blanket with Tracy on. This book is a gr8 book you should read it if you are into tracy beaker its brill. A really great Jacquline Wilson novel. Tracy leads an interesting, daring life in the dumping ground. Tracy believes her mother is a movie star in hollywood and will soon pick Tracy up in her limo and take her away from the dumping ground to Hollywood. Will her dream ever come true? very funny! it’s like a diary. its like tracy beacker has written her own diary. its very good and i liked it!! i will recomend it to anybody in the world!!! This book was funny and is imagainitive! I LOVED IT!